(2017). Visual and spectrophotometric detection of Pseudomonas aeruginosa based on gold nanoparticles probe biosensor and endonuclease enzyme. International Journal of Bio-Inorganic Hybrid Nanomaterials, 6(2), 89-98.
. "Visual and spectrophotometric detection of Pseudomonas aeruginosa based on gold nanoparticles probe biosensor and endonuclease enzyme". International Journal of Bio-Inorganic Hybrid Nanomaterials, 6, 2, 2017, 89-98. (2017). 'Visual and spectrophotometric detection of Pseudomonas aeruginosa based on gold nanoparticles probe biosensor and endonuclease enzyme', International Journal of Bio-Inorganic Hybrid Nanomaterials, 6(2), pp. 89-98. Visual and spectrophotometric detection of Pseudomonas aeruginosa based on gold nanoparticles probe biosensor and endonuclease enzyme. 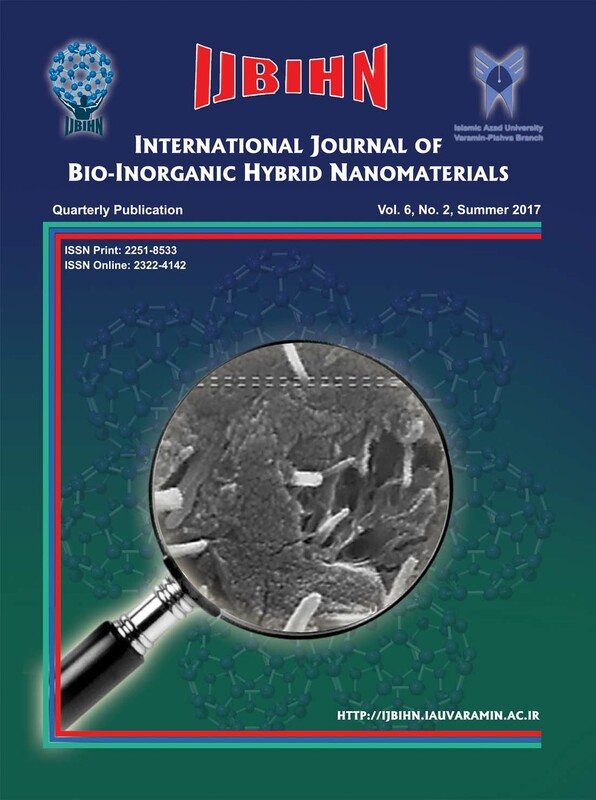 International Journal of Bio-Inorganic Hybrid Nanomaterials, 2017; 6(2): 89-98. Colorimetric DNA detection is preferable in comparison with the other methods used in clinical molecular diagnosis, because of no need to expensive equipment’s. In present study, the colorimetric method based on gold nanoparticles was used for the detection of P. aeruginosa. Firstly the primers and probe for P. aeruginosa exotoxin A gene were designed. Then, GNPs were synthesized using the citrate reduction method and conjugated with the prepared probe to develop the new nanobiosensor. Next, the extracted DNA of the bacteria was added to GNPs-probe complex to check its efficacy for P. aeruginosa diagnosis. When, GNP-probe-target DNA was cleaved into the small fragments by Bam HI endonuclease, the right shift of absorbance peak from 530 to 562 nm. It was measured using a UV-Vis spectroscopy that indicates the existence of P. aeruginosa. The sensitivity was determined in the presence of target DNA. The results obtained from the optimized conditions showed that the absorbance value has linear correlation with concentration of target DNA (R: 0.9850) in the range of 10-50 ng mL−1 with the limit detection of 9.899 ng mL−1. The specificity of the new method for detection of P. aeruginosa was shown in comparison with other bacteria.